I am just back from a week on North Uist where amongst the many highlights were daily encounters with Hen Harriers. We saw them repeatedly, both ‘ringtails’ and grey males, but they were always exciting, appearing suddenly out of nowhere before melting smoothly back into the landscape. To see them here in their breeding habitat, unmolested and truly ‘at home’, was very special. Compare this with the situation in England where space exists for perhaps 250 pairs yet there are now hardly any at all. How poignant therefore to return to a review copy of Mark Avery’s latest book ‘Inglorious: Conflict in the Uplands’. Following the success of his wonderful ‘A Message from Martha’, Avery now turns his attention to driven grouse shooting, making a detailed and unapologetic case for its banning. In a nutshell his case is as follows: driven grouse shooting is an anachronistic ‘sport’ whose economic viability depends on the routine removal of predators (including birds of prey and most notably Hen Harriers) to ensure that a sufficiently large ‘crop’ of grouse is available to be shot by paying customers. The sport’s very existence therefore depends on breaking the law and getting away with it, providing an ecological ‘sink’ for the Hen Harrier which not only prevents its expansion but threatens to eliminate it altogether. Nor are the concerns limited to the illegal slaughter of some of our finest raptors, for the unsympathetic management of grouse moors, for example through excessive burning, wrecks the ecology of our uplands, pollutes watercourses, causes downstream flooding and contributes to climate change. Arguments that driven grouse shooting is essential to the rural economy massively overstate its value for this is in reality a minority activity, managed by an affluent elite for the recreation of their peers and, to rub salt into the wound, it is heavily subsidised from the public purse. This means that you and I are paying large sums of money to some of the country’s richest landowners to persecute raptors and damage our upland environment. If you add in the additional costs of water treatment, flood alleviation and climate impacts then the economics of grouse shooting look even more dubious. Avery has taken his time to arrive at such a damning analysis. He has been intimately involved with the issues for a long time and, particularly during his time with the RSPB, worked hard to resolve the long-standing conflicts between the shooting community and the conservation movement. This has been a rocky road, however, and the author’s frustration with the intransigence of the former is clear. And there are obvious political dimensions too. Discussions around grouse shooting go to the heart of the British establishment for the sport has friends and protectors in high places. However, with continuing Hen Harrier ‘disappearances’ and the species approaching extinction as a breeding bird in England, matters are clearly coming to a head and Avery has, after much soul searching, adopted an increasingly tough and uncompromising stance on the issue. With his new freedom to speak out as he wishes, the author is becoming an ever more high-profile and effective advocate for conservation and is now the leading figure in the growing campaign to ban driven grouse shooting. Very important please read before ordering: When ordering via WildSounds, the value of the voucher will be deducted from your order when the order is processed. The total displayed on your shopping basket excludes the value of the promo but this will be applied before final payment is taken. This book presents a detailed analysis of how he has come to this position. 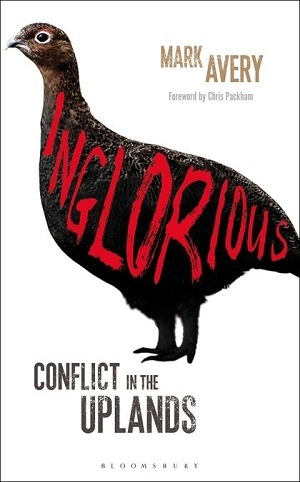 It delves deep into our social, economic and political history to examine how grouse shooting has come to dominate our uplands, examines our evolving knowledge of moorland ecology and grouse-raptor relationships and chronicles a long history of debate and increasing acrimony around the issue. The treatment of these contexts is comprehensive and authoritative, drawing on the author’s extensive personal experience as well as detailed research, and it is hard to disagree with his conclusions. Fortunately, an increasing number of people share this analysis, and 2014 saw a step change in the profile of this issue. The events of last year are recounted in detail in the chapter entitled ‘The Beginning of the End’ and feature the first national Hen Harrier Day held in August in the Peak District (fronted by Avery and Chris Packham) and Avery’s own e-petition to DEFRA (which reached over 20,000 signatures by the year’s end) as well as ever greater coverage in the national press. In the author’s words, ‘things got a lot tougher for the men in tweed’. The book concludes with a vision of what our uplands might one day look like - a restored ecosystem with lower numbers of Red Grouse but healthy populations of other moorland species (including Hen Harriers and other birds of prey), an environment able to store rainfall, provide clean water and store carbon and a landscape which can generate a new kind of tourist economy based on environmental quality and wildlife value. If this is what we want (and surely most of us do) then now is the time to make our voices heard, to use our power as lobbyers and consumers to make change come sooner. Before long we may wonder how driven grouse shooting was ever allowed to exist in the first place.